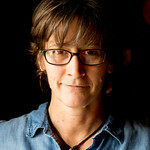 Holly A. Heyser is a food photographer based in Sacramento, California. Her focus is on wild food - all things foraged, fished and hunted. Her photo credits include four books: "Pheasant, Quail, Cottontail - Upland Birds and Small Game from Field to Feast" (H&H Books, 2018), "Buck, Buck, Moose: Recipes and Techniques for Cooking Deer, Elk, Moose, Antelope and Other Antlered Things" (H&H Books, 2016); "Duck, Duck, Goose: Recipes and Techniques for Cooking Ducks and Geese, Both Wild and Domesticated" (Ten Speed Press, 2013); and "Hunt, Gather, Cook: Finding the Forgotten Feast" (Rodale, 2011). Her photos have also been published in Art of Eating, Delta Waterfowl, Imbibe, Gastronomica, Gilt Taste, Gourmet Live, Hunter Angler Gardener Cook (she is the site's primary photographer), Meatpaper, Montana Outdoors, Petersen's Hunting, Plate, Pheasants Forever and Sacramento Bee. Holly puts all her creative skills to work for the non-profit California Waterfowl Association, a hunting and conservation organization where she is the magazine editor and videographer, as well as an ad designer and photographer. Life is good!